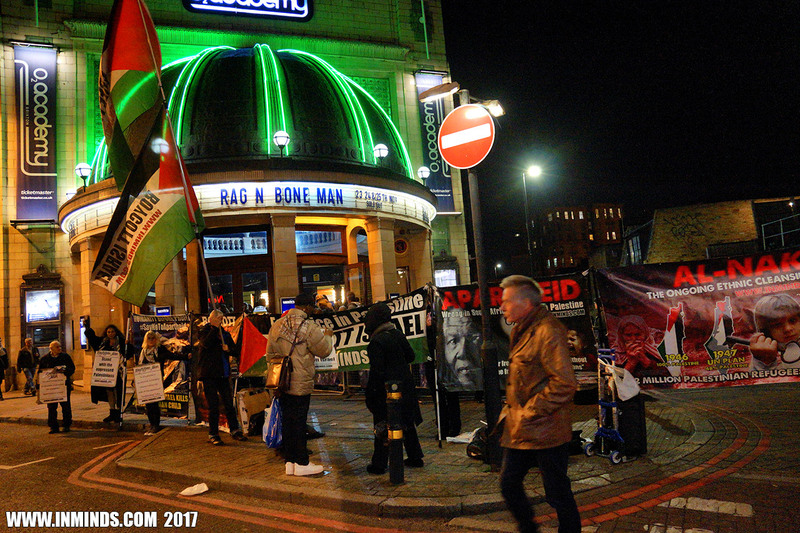 During a vigil outside his performance at the O2 Academy in Brixton on 24th November 2017, the award winning English musician songwriter Rag'n'Bone Man (Rory Charles Graham), after talking to the protestors via his manager, publicly announced cancellation of his scheduled performance in Tel Aviv next May. 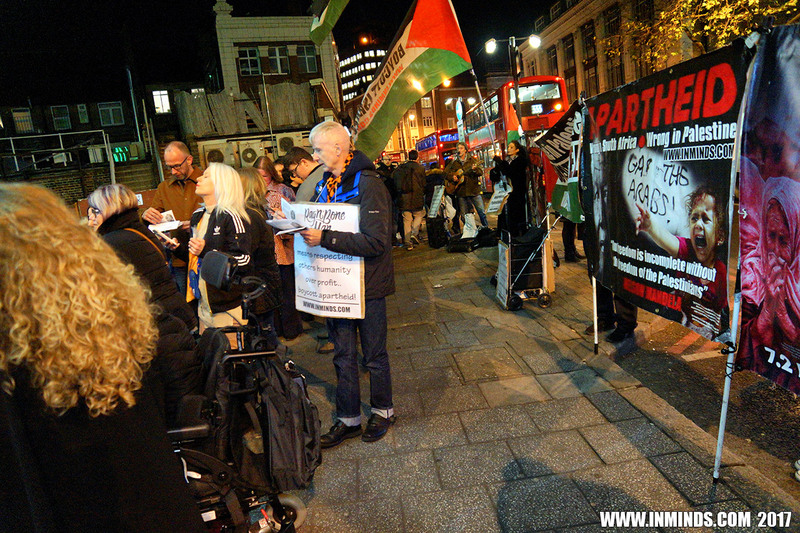 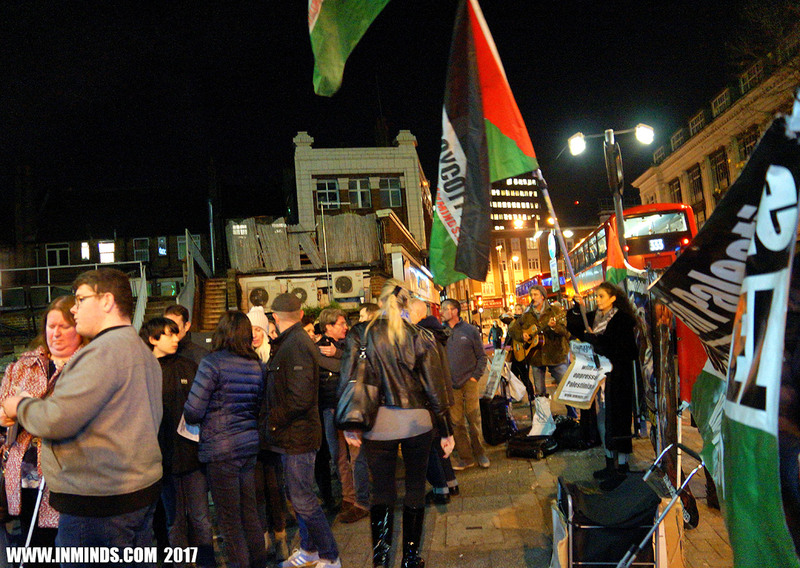 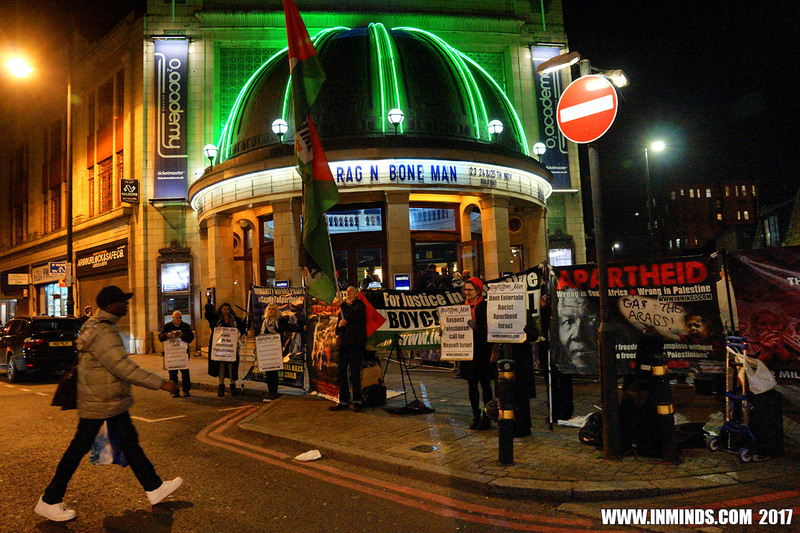 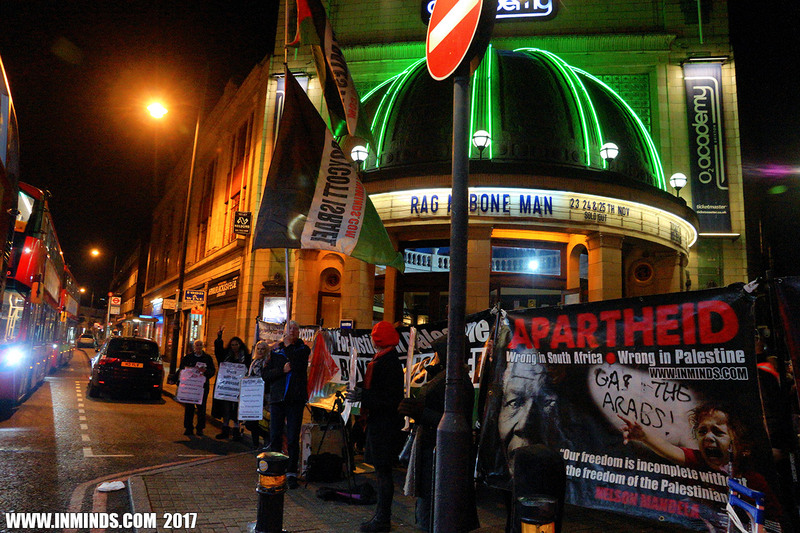 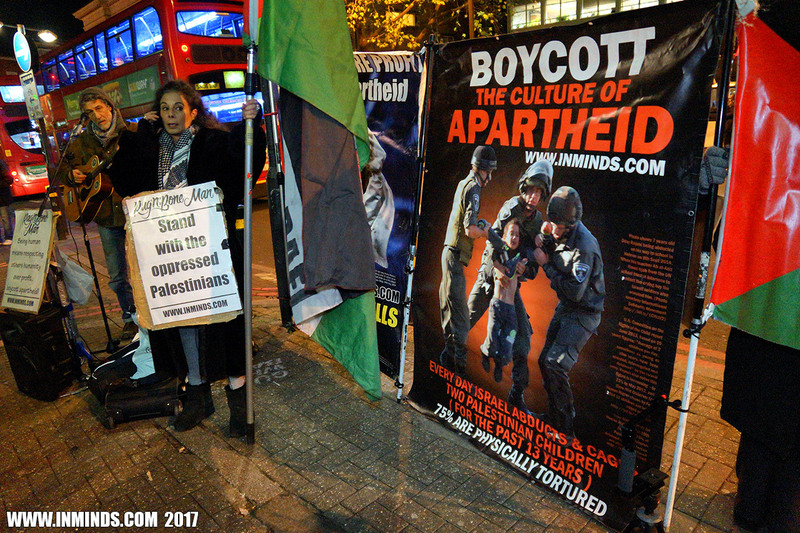 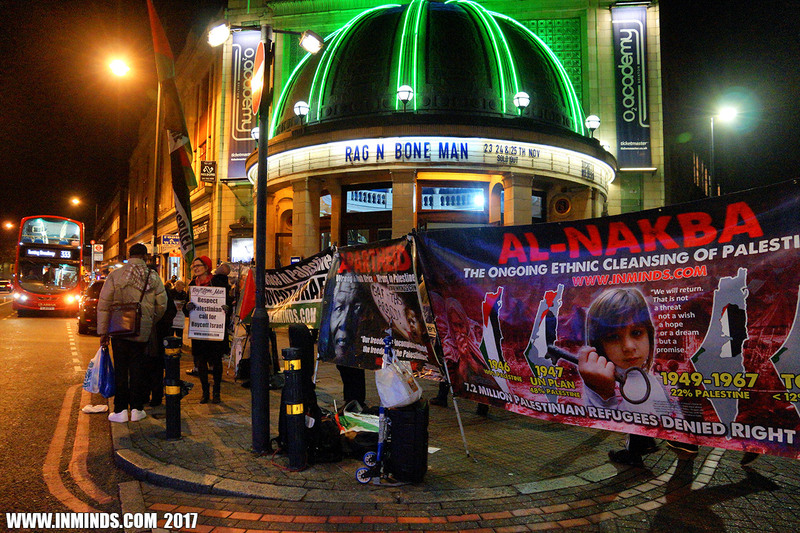 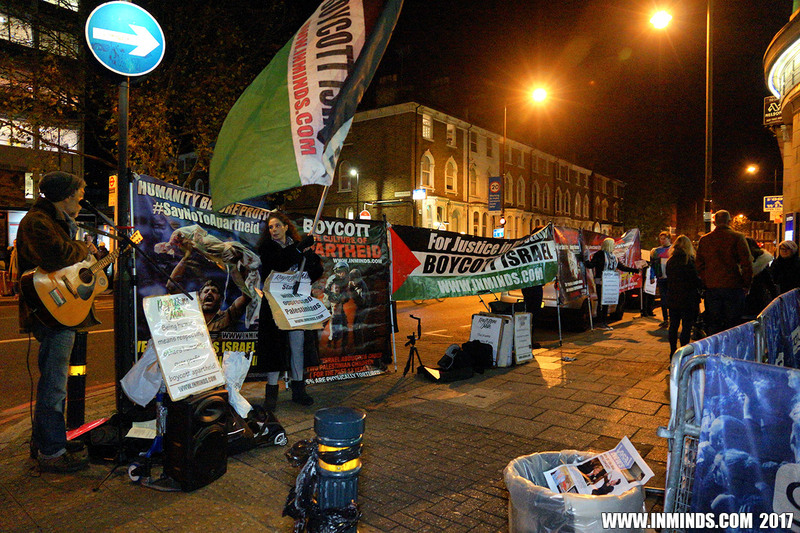 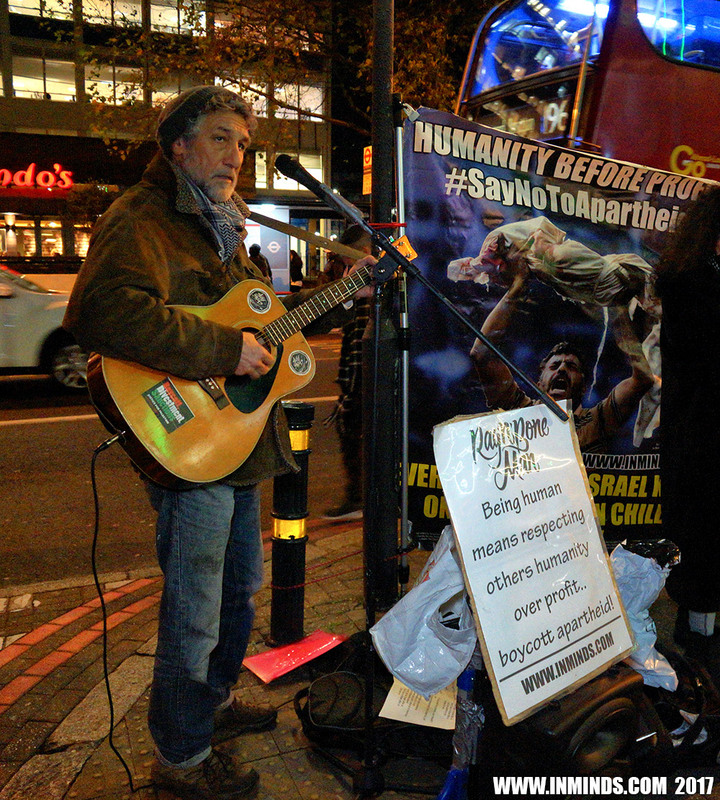 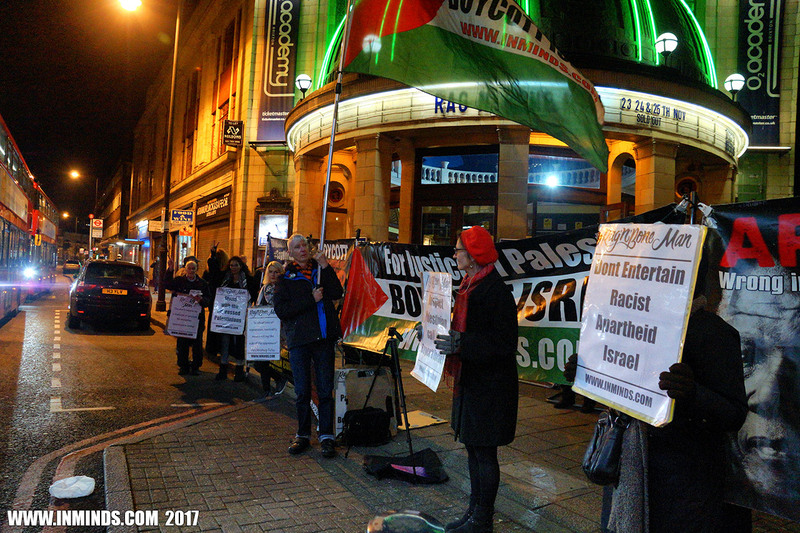 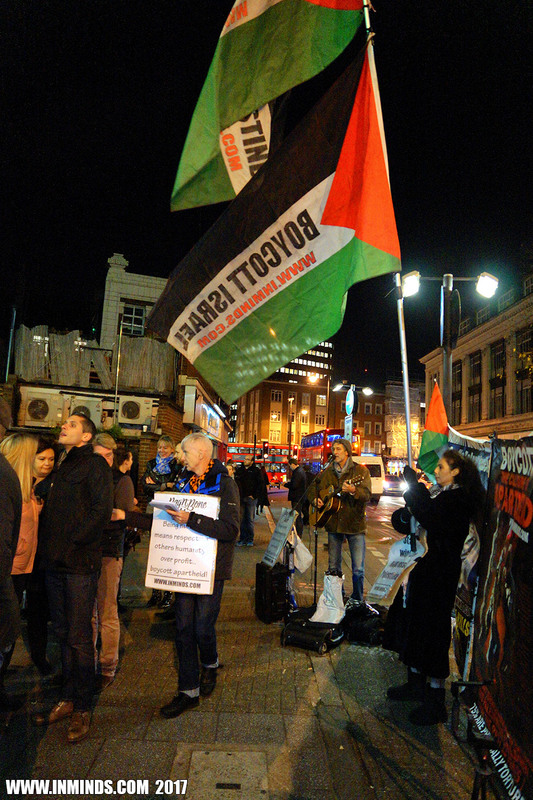 Inminds human rights group's vigil outside the O2 Academy in Brixton urging Rag'n'Bone Man to respect the Palestinian call for a cultural boycott of apartheid Israel and cancel his scheduled performance in Tel Aviv on 16th May 2018, was met by incredible support from both the fans and passers-by with hundreds of leaflets being snapped up in no time and people hugging and congratulating us for being there. 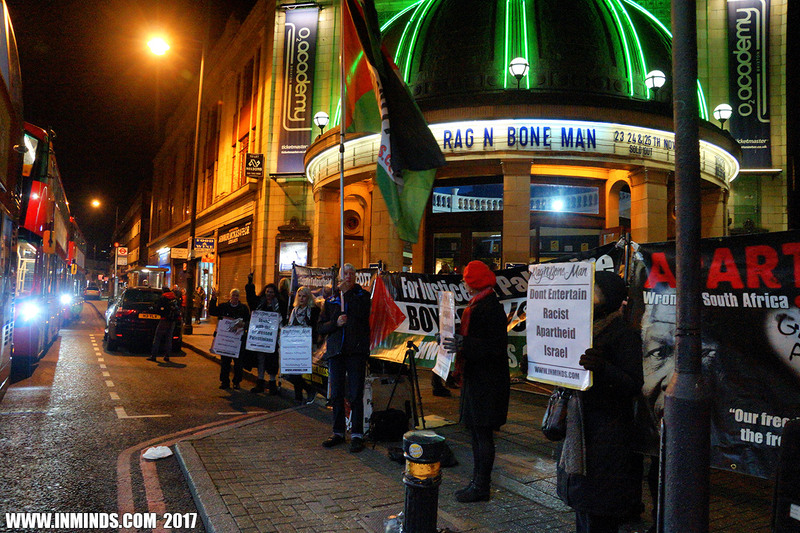 It was less than 30 minutes into the vigil, when a person from Rag'n'Bone Man's team came out holding a mobile phone with Rag'n'Bone Man's manager on the line. 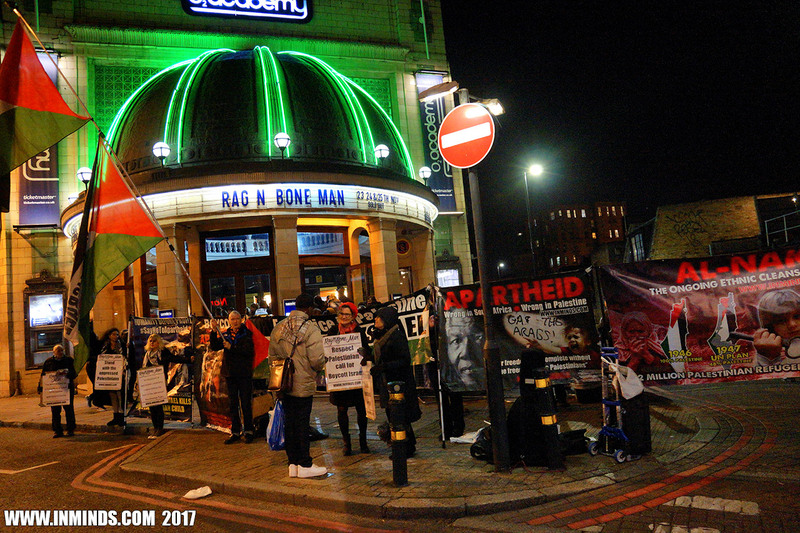 Rather than ignore us Rag'n'Bone Man had graciously decided to engage with the protestors. 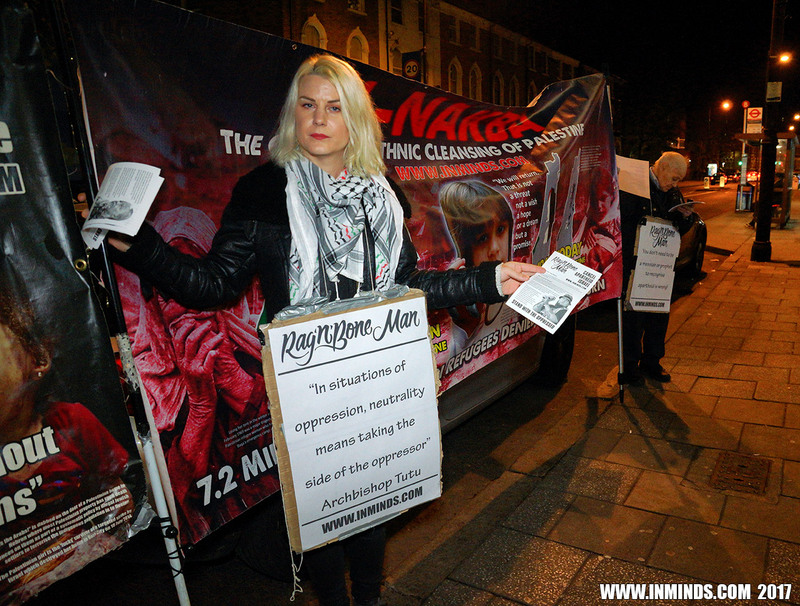 We explained why we were protesting. 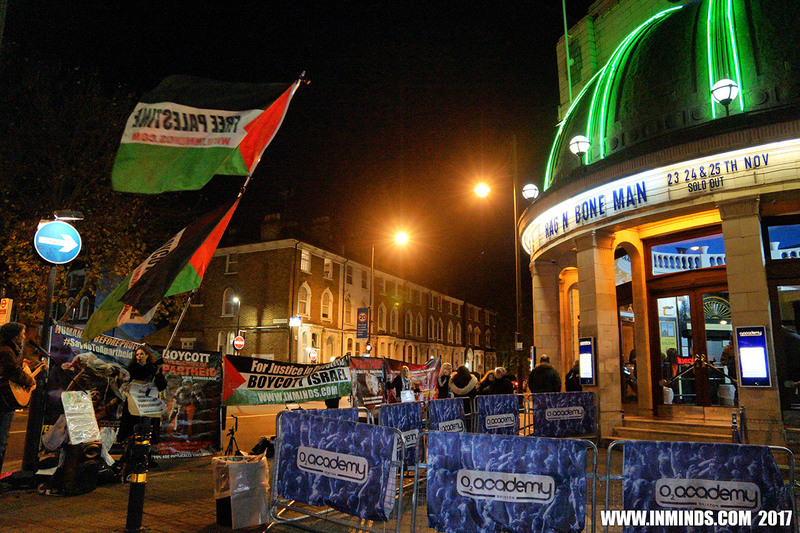 The manager told us that we were all on the same side on this one, he explained that they had tried to find a venue to also perform for Palestinians but due to the occupation that was not possible so would no longer be performing in Israel. 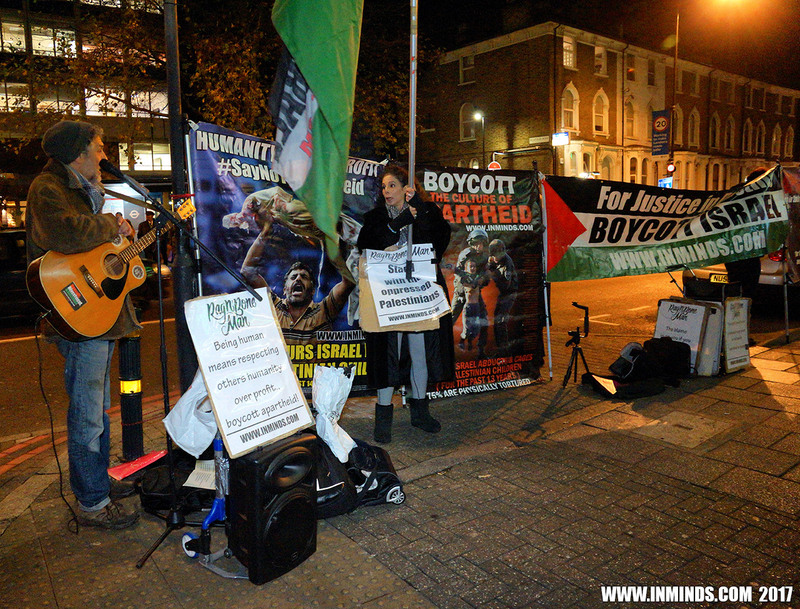 We felt that with the noisy background it was perhaps not the best time to explain that performing for both audiences wouldn't have made it ok, any more than it would be ok to perform for the Third Reich by balancing it with a performance for the besieged Jews of the Warsaw Ghetto. 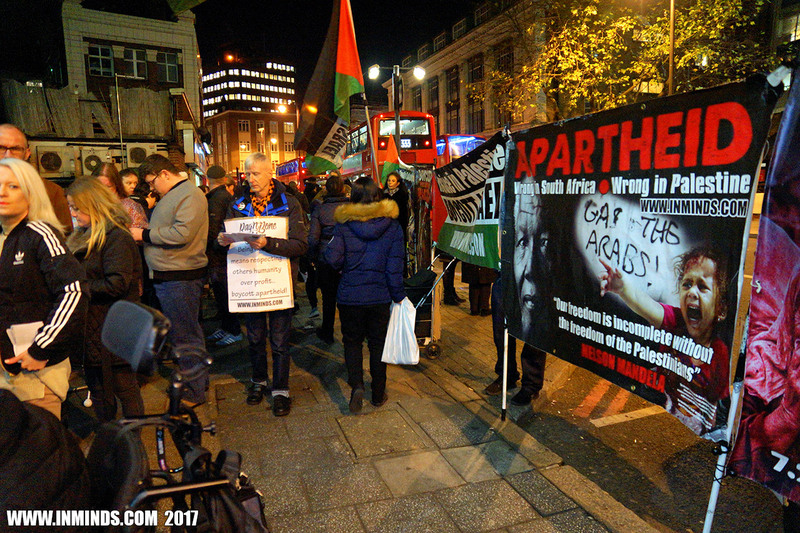 It draws equivalence between oppressor and oppressed, between occupier and occupied, and as such normalises the oppression of the Palestinian people. 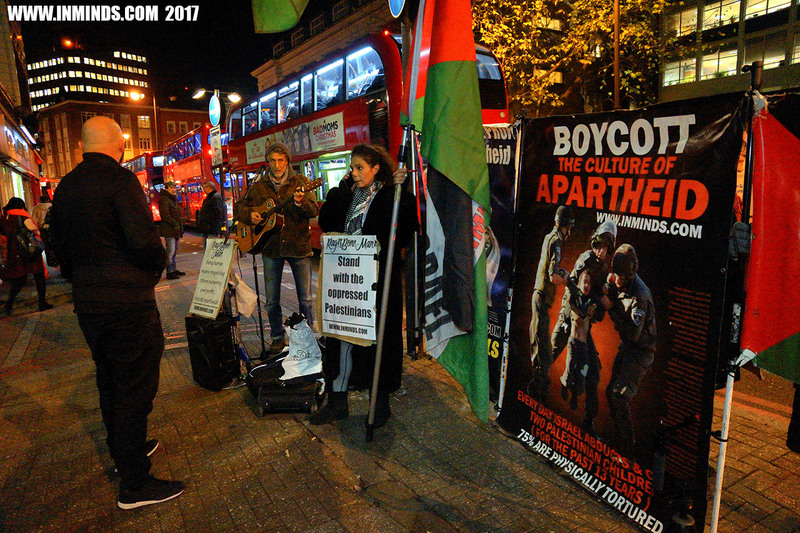 We thanked him for his decision, but with great respect, we insisted on a public statement of his decision to cancel his performance in apartheid Israel, and then we would happily end the protest. 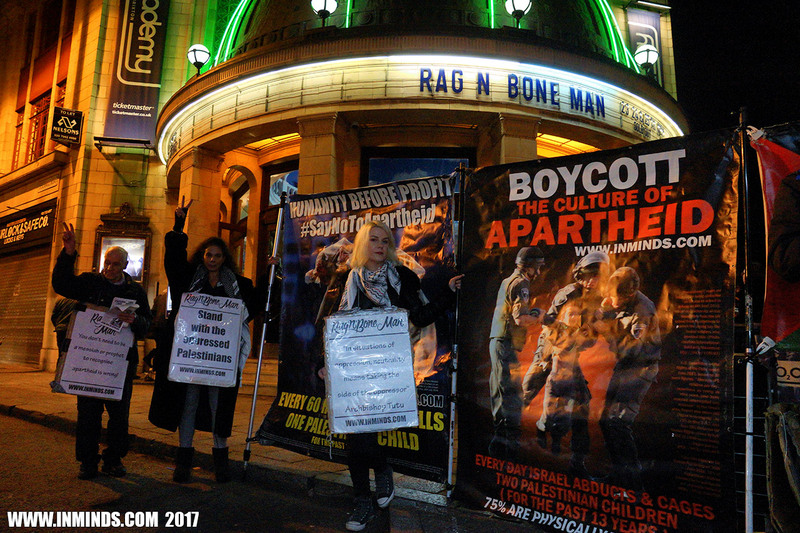 In the past, performers have made private statements of intent, only later to renege under pressure, and end up in Tel Aviv. 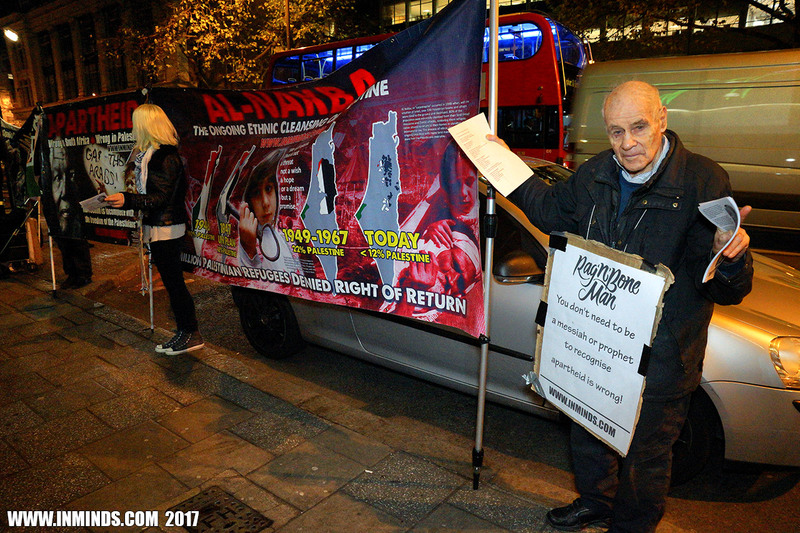 15 minutes later the person from Rag'n'Bone Man's team returned, again holding a mobile phone. 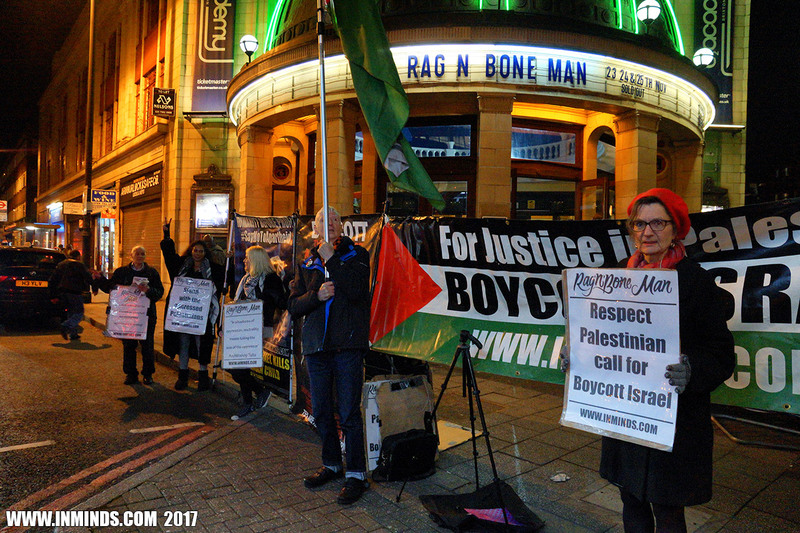 He told us that Rag'n'Bone Man had agreed, and showed us on the mobile phone a public tweet Rag'n'Bone Man had just sent (6:44pm): "Unfortunately the show scheduled to take place on the 16th May 2018 in Tel Aviv has been cancelled." 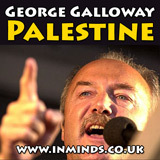 The Israel gig date was also removed from his website. 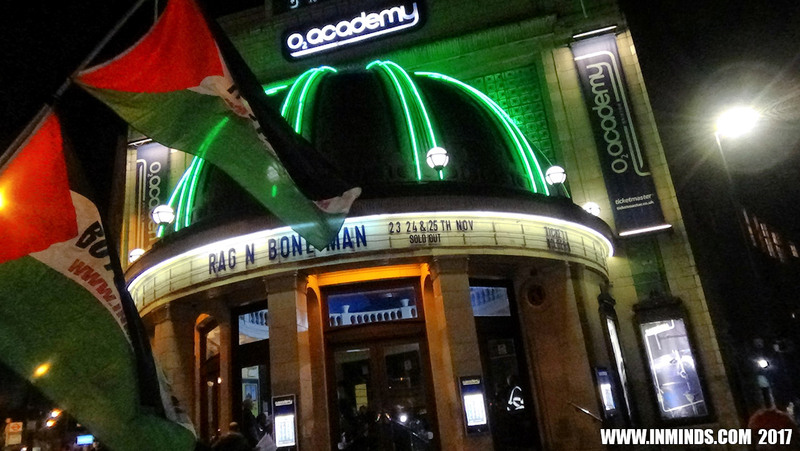 We thanked Rag'n'Bone Man over the PA system for his principled stand for justice in support of the oppressed Palestinians and urged other performers to learn from Rag'n'Bone Man's integrity. 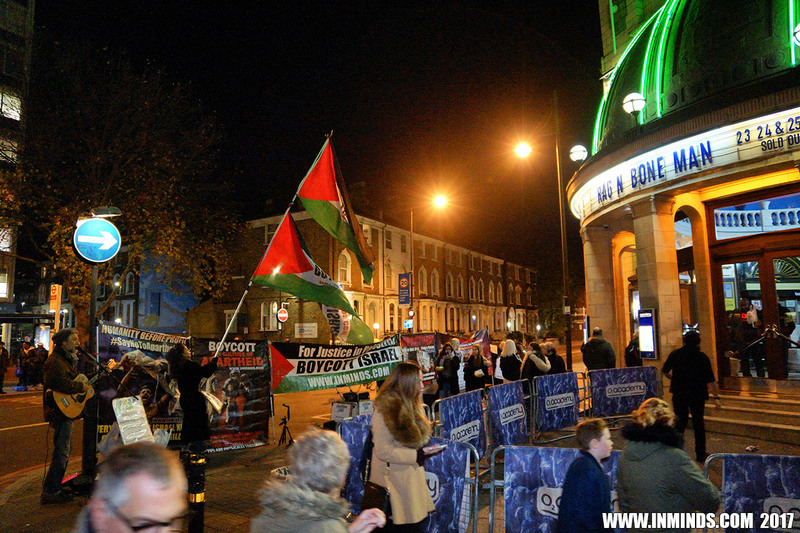 There was a roar of applause and cheers from the fans. 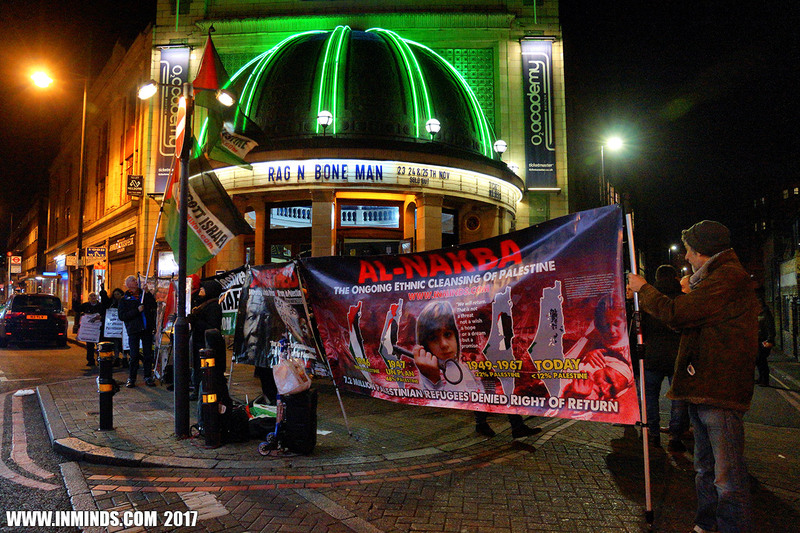 Inminds chair Abbas Ali said "We have been holding cultural boycott protests for over 5 years, it is very rare to come across an artist like Rag'n'Bone Man who lives by his principles and genuinely puts humanity before profit. 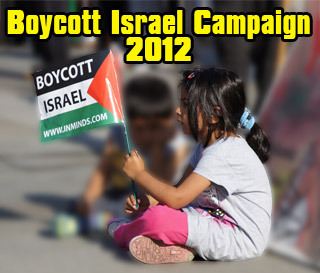 Respect!"